Decrease in the price of fossil fuel has contributed to reduced inflation. Petrol and diesel prices in Thimphu have reached Nu.59.4 and Nu.50.9 a litre, after several price reductions. Food prices registered the lowest inflation. Prices of imported food items deflated to 0.10 percent in December compared to the previous month while prices of domestically produced food items recorded their inflation at 0.2 percent during the same months. Decrease in the price of fossil fuel helped reduce prices in the local market as Bhutan imports most of its commodities from India. In the global market, crude oil prices have dropped from US$ 150 a barrel to less than US$ 50 a barrel, today. 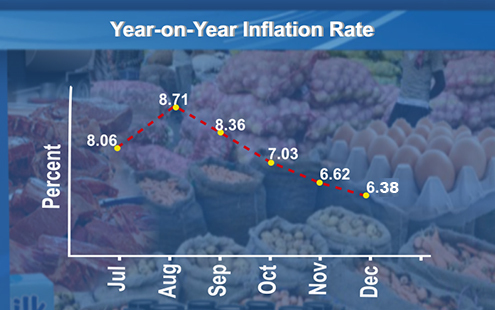 Average annual inflation for the year 2014 was recorded at 8.2 percent. In 2012, it was 10.9 percent. Officials from National Statistics Bureau said inflation has dropped both in terms of domestically produced food and imported ones. The purchasing power of Ngultrum dropped 16 percent compared to 2012 prices.